October 14, 2018, 2:30 p.m. 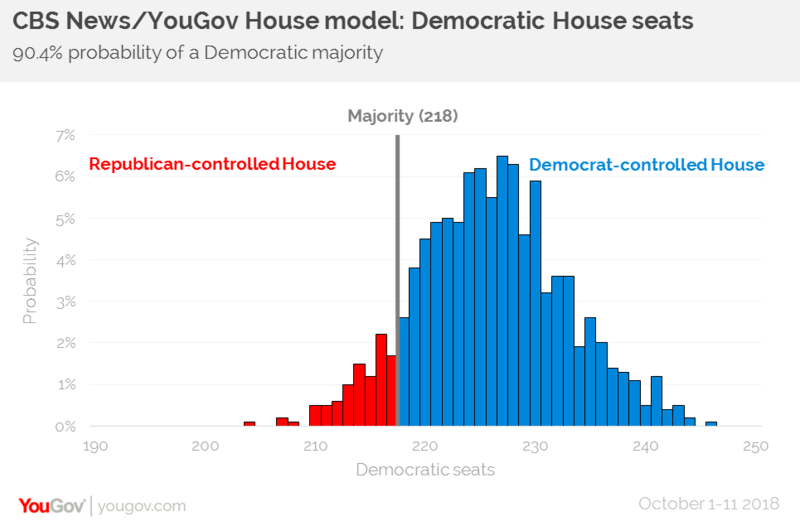 The latest CBS News/YouGov House Model estimates a Democratic majority in the House of Representatives, with the party on 226 seats to the Republicans&apos; 209. With a margin of error of 14 seats, however, this means that control of the House is within reach of either party. In terms of the national vote, the Democrats are currently estimated to win 52.8% of ballots cast compared to 44.8% for the Republicans and 2.5% for other parties and candidates. The Democrats currently hold 195 seats in the House, so even pessimistic scenarios see them making gains. In the "Democrat Low" scenario the party sees an increase of 17 seats to 212, although this still leaves them 6 seats short of a majority. In the more optimistic "Democrat High" scenario the Democrats win 240 seats overall. 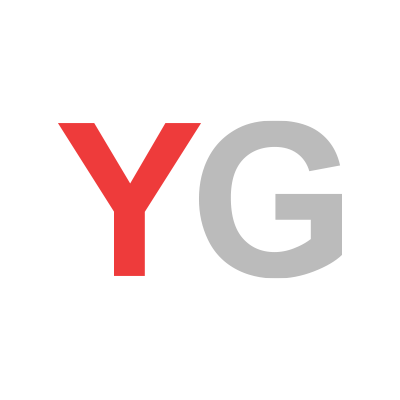 The CBS News-YouGov House Model is based on interviews with 33,476 registered voters from October 1-11, 2018, including respondents from the CBS News Battleground Tracker as well as other YouGov surveys. While this is a large sample, we nonetheless use the model to produce more reliable estimates for the districts than would be achievable based on the amount of sample in each of them alone, and the model accounts for the uncertainty around each of those estimates. The House estimate&apos;s margin of error corresponds to a 95% confidence interval.